Yesterday, Google finally pulled back the curtain on its vision for the future of gaming, revealing Stadia, an ambitious and powerful Chrome-based streaming platform that will allow gamers to play games across TVs, tablets, phones, and computers with an impressive range of industry-pushing features. Of course, with Google making a huge push into the industry, many have wondered what the traditional big three -- Microsoft, Sony, and Nintendo -- make of yesterday's presentation and the plans Google has for gaming. Well, while we still don't know what Sony and Nintendo think, we do know what Xbox boss Phil Spencer thought of the pitch by Google. Thurrott's Brad Sams -- a reporter known for his scoops and reliable information when it comes to Microsoft and Xbox -- has managed to get his hands on an email Phil Spencer sent out to his team following the Google keynote, noting Google is following in its footsteps, and that its presentation should fuel his team to keep working towards the big plans they have for E3. "We just wrapped up watching the Google announcement of Stadia as team here at GDC," begins the email. "Their announcement is validation of the path we embarked on two years ago..
"But I want to get back to us, there has been really good work to get us to the position where we are poised to compete for 2 billion gamers across the planet. Google went big today and we have a couple of months until E3 when we will go big." "We have to stay agile and continue to build with our customer at the center. We have the content, community, cloud team and strategy, and as I’ve been saying for a while, it’s all about execution. This is even more true today. Energizing times." As you can see, things are heating up, but Microsoft and its Xbox team look ready to take on Google. 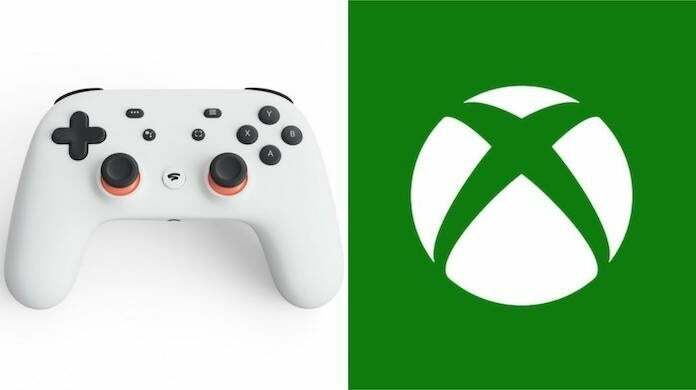 And when you consider its aim lines-up with Google more than Sony or Nintendo's aim, it may just be the most under threat by Stadia.